Looking for a commercial fencing company in Richmond? When choosing a fence company, it’s important that you find one that has the experience and credentials that meet the requirements of the project you’re looking to do. Let’s talk about a few of the things to look for when choosing a commercial fencing company in Richmond. Versatility is an important quality when it comes to commercial fence installation. 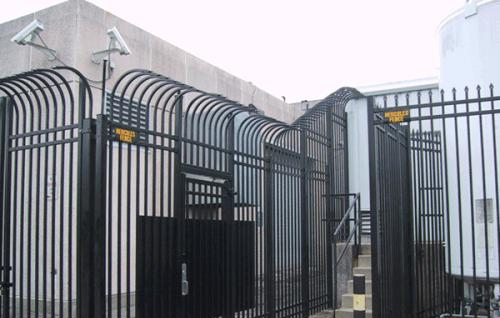 A company that has installed fences in a variety of locations for a variety of applications has demonstrated that it can adapt its skills to any project and any situation. Experience shows that the company has longevity. A company that has been in business for a long time has demonstrated that it can weather the ups and downs of the economy because of a consistent customer base that knows it can trust the company for a job well-done. A company that stands behind its work will offer a good warranty to back it up. Membership in industry associations demonstrates that the fence company isn’t content to be complacent. As a member of numerous fencing and industry associations, Hercules Fence is proud to be a leader in the fence industry. This entry was posted on Friday, September 26th, 2014 at 9:31 pm. Both comments and pings are currently closed.